A sharp, well-maintained knife is much safer and will cut better than a dull one. This axiom has been taught to millions around the world and the same should be applied to your axe or hatchet, regardless of how much you spent on it. I enjoy a warm fire at the end of the day, even on a hot summer evening. I also enjoy the process of building my fire, choosing the type of wood to burn, splitting it and, of course, watching it burn down to coals. In the same way, I take pleasure in maintaining my tools. I usually reserve this activity for the winter season. However, depending on usage, you might have to sharpen your axe a couple times through the year. 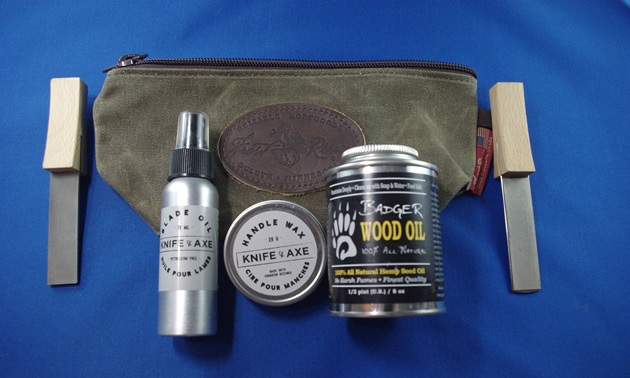 What does axe maintenance entail? Maintaining your axe is a simple, often relaxing, process of sharpening the cutting edge of the blade, examining and treating the handle or shaft, as it is correctly referred to, and finally treating the leather sheath or mask. You will require a few simple tools and supplies to accomplish the task. You will need a file and a diamond hone for sharpening and gun oil to protect the metal. To treat the shaft, you will require a clean, lint-proof cloth and wood oil. To protect the leather mask, a good-quality beeswax as well and a clean cloth are all you need. The first thing you want to do is look the head over. You are looking for rust anywhere on the head, chips in the edge itself or just a general rounding of the cutting edge. A dull edge will bounce off wood rather than dig into it. If there are chips in the blade or excessive dulling, start with the file. 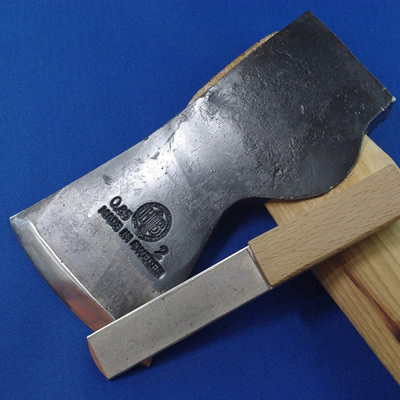 Place your axe on a hard surface, then run the file along with the edge from the thickest point to the cutting edge following the contours of the edge. I take five strokes then flip the axe over and repeat the process. This ensures the angle of the cutting edge is the same. Next, I repeat the process with the diamond hone. The hone puts a finishing edge on the axe. Once you are happy with the edge, apply a thin coat of quality metal oil to the head. The shaft only requires maintenance once a year. This process includes looking for damage to the wood. Any cracks and your axe will require re-shafting. Trust me, you don’t want the axe to break while chopping as serious injury can occur with the head flying through the air! In most cases though, you will only be wiping the shaft clean and re-applying a coat of wood oil. 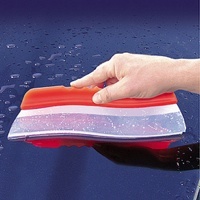 Depending on the oil, you will be applying multiple coats, allowing the oil to dry between applications. This protects against moisture getting into the wood. The mask is the leather sheath that covers the edge and head of your axe. It protects you and your other gear from the sharp cutting edge. It is vital that you treat the mask with a quality leather protectant. A good mask is fitted to the head. This ensures it won’t fall off while the axe is being transported. As well, it helps to protect the metal from rust by deterring moisture. 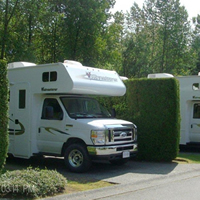 We all like to use the best gear available, and quality tools will certainly help you to enjoy your RV trips that much better. 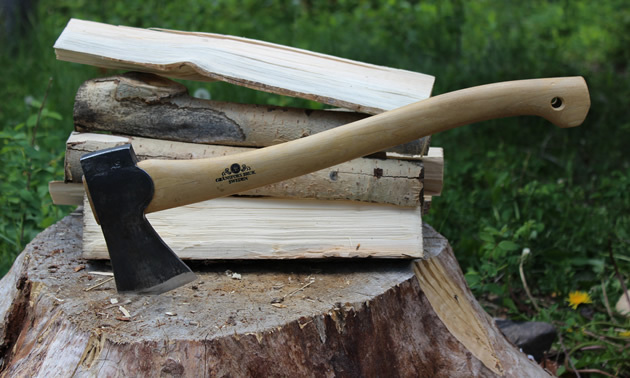 By following these simple steps, you will be ensuring a long, safe and satisfying life for your axe or hatchet. 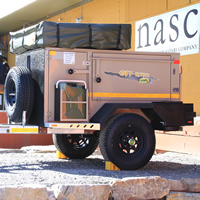 The Echo 4x4 follows your vehicle anywhere, keeps your fuel costs low, and unfolds to become an efficient and comfortable homesite. The SHUR-Dry Water Blade can be used by hand or with the optional adapter.